Canvas Hanging Kit 3 - (Type 2 Hanger). Everything you need to hang a canvas. 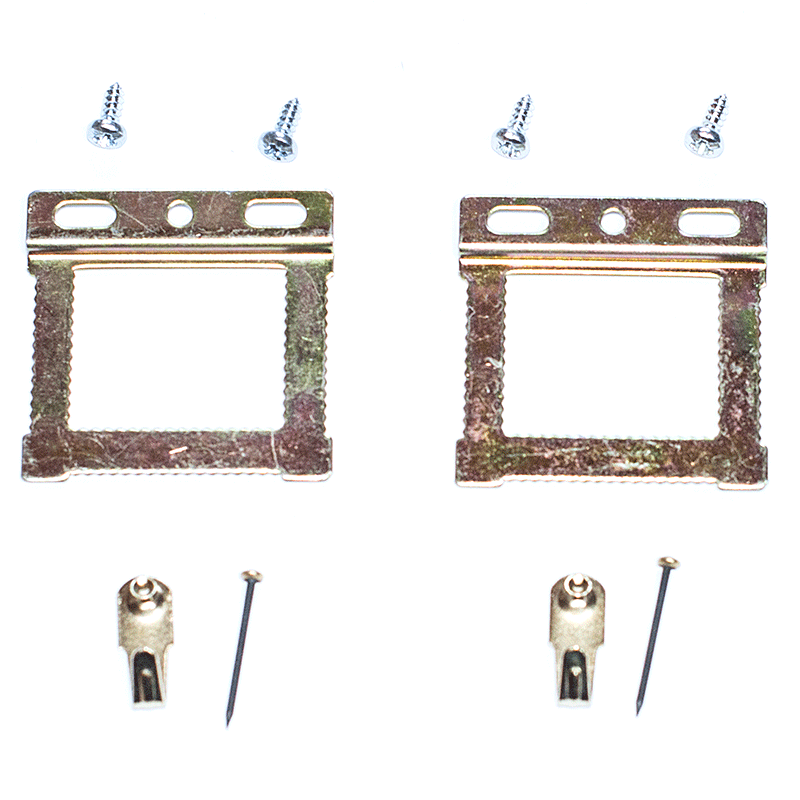 Contents: 2x Type2 canvas hangers 4 pan headed screws zinc plated (6x10mm) 2x floral #1 picture hooks. 2x floral #1 picture hooks.